Happy Wednesday lovelies! 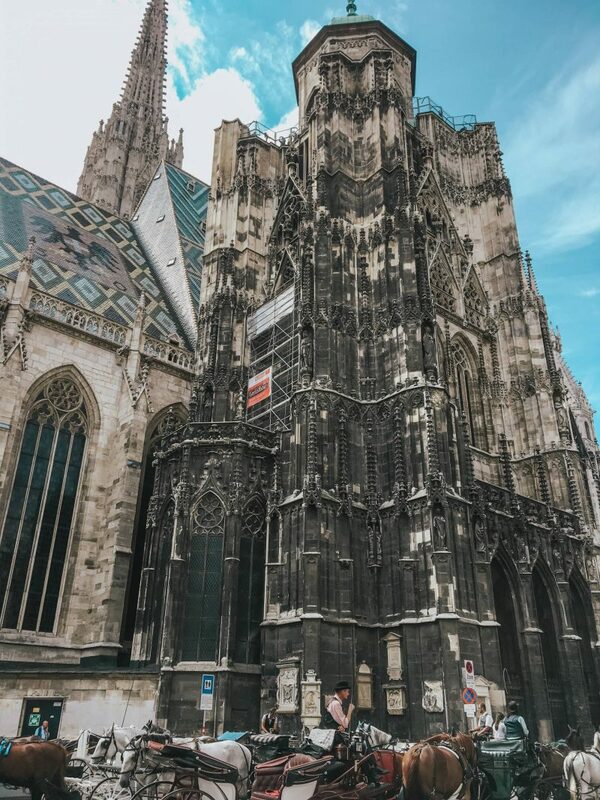 I’ve finally gotten around to writing up our Vienna guide- the final destination of last year’s Euro trip (have you read our guides to Amsterdam, Prague, Budapest and Copenhagen yet?). 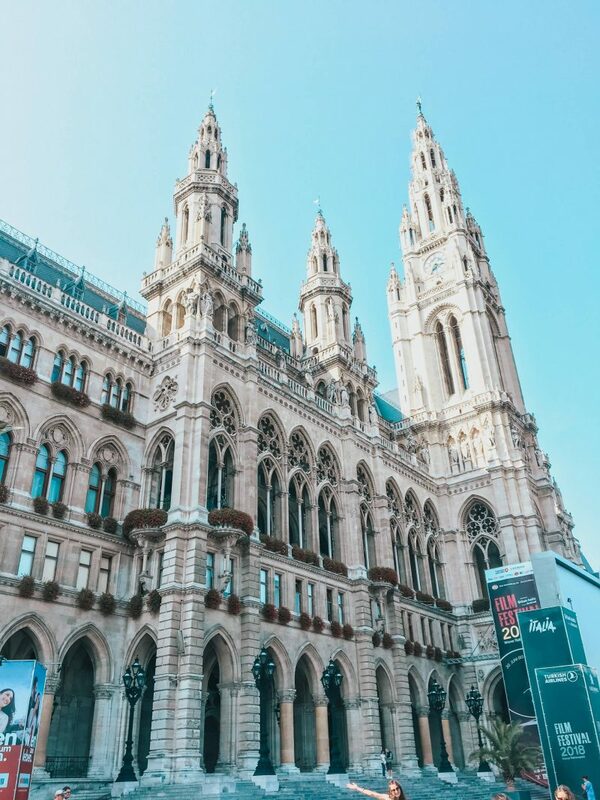 Vienna is a beautiful city with lots to see and do, and having four days there, we definitely got a great taste of the city! 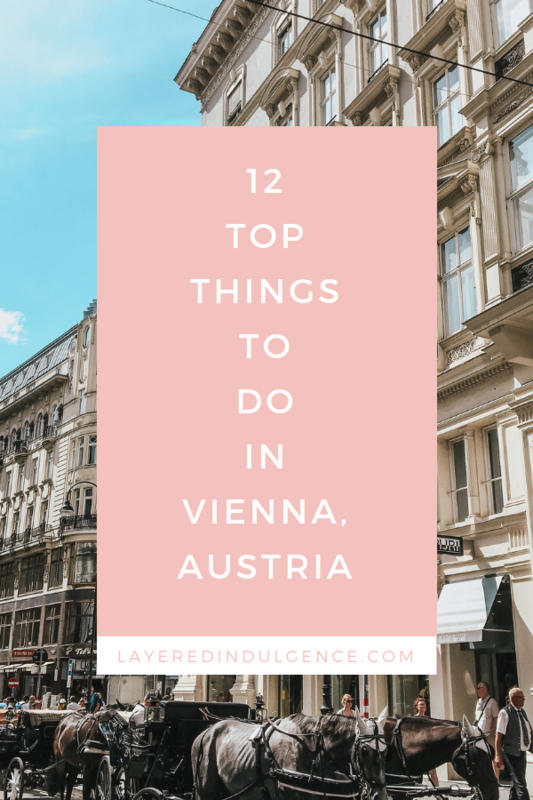 If you’re planning a trip to Vienna, or are simply interested in checking out how we spent our time there, here’s my list of the 12 top things to do in Vienna! 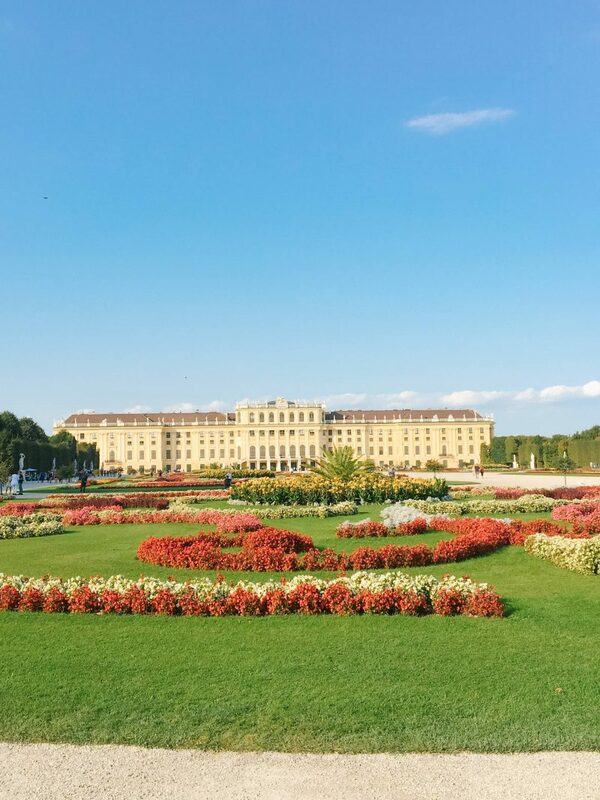 Schönbrunn Palace is completely magical. In the past, it was an imperial summer residence (can you imagine this was your summer home?). 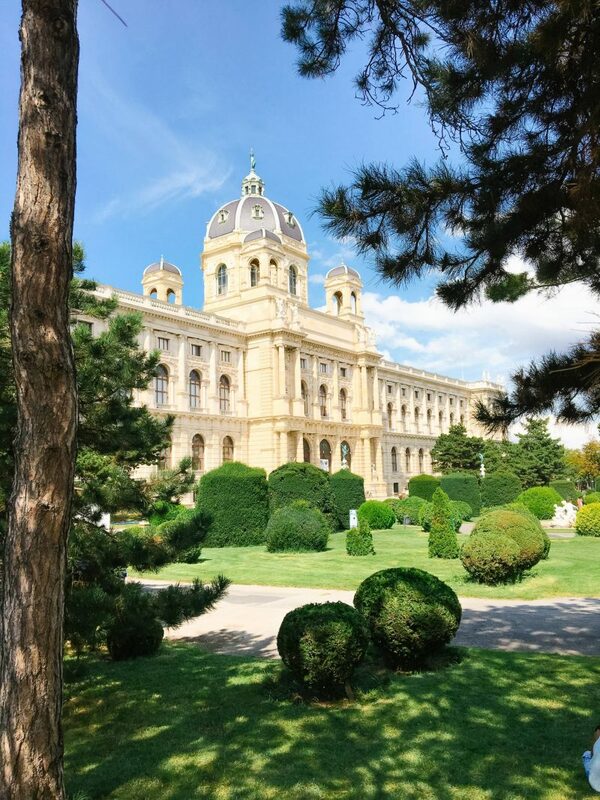 It really is magnificent to see, from the gorgeous gardens to the palace interior to the viewing terrace with a breathtaking panoramic view of Vienna. 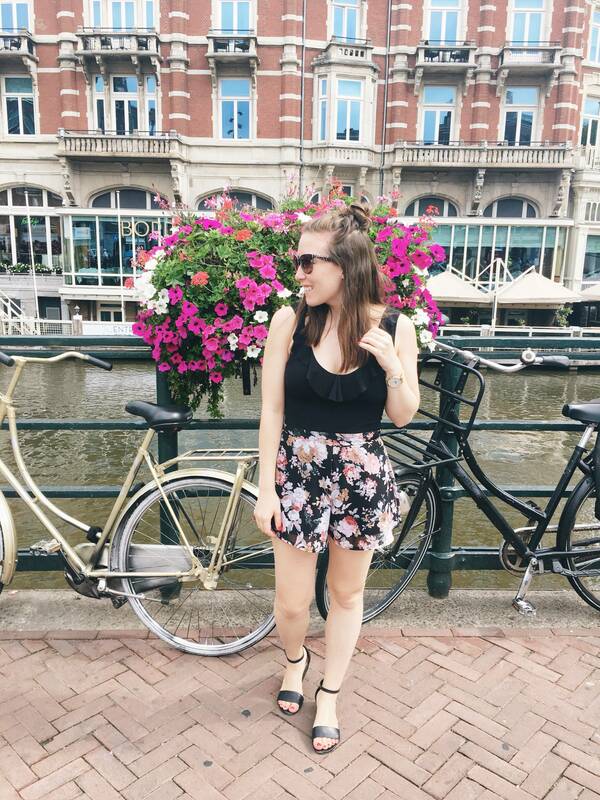 We spent a couple hours walking around and taking in all the sights. There are different tickets/passes depending on what you want to see. Give yourself a few hours to walk around to make sure you can take everything in! 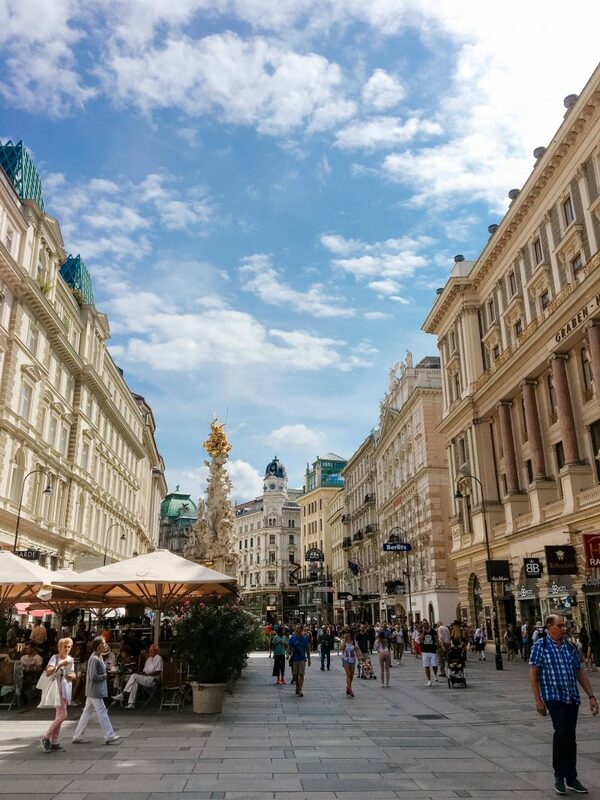 Der Graben is Vienna’s renowned shopping street, and the architecture is beautiful. The street is lined with restaurants, cafes and luxury shops. 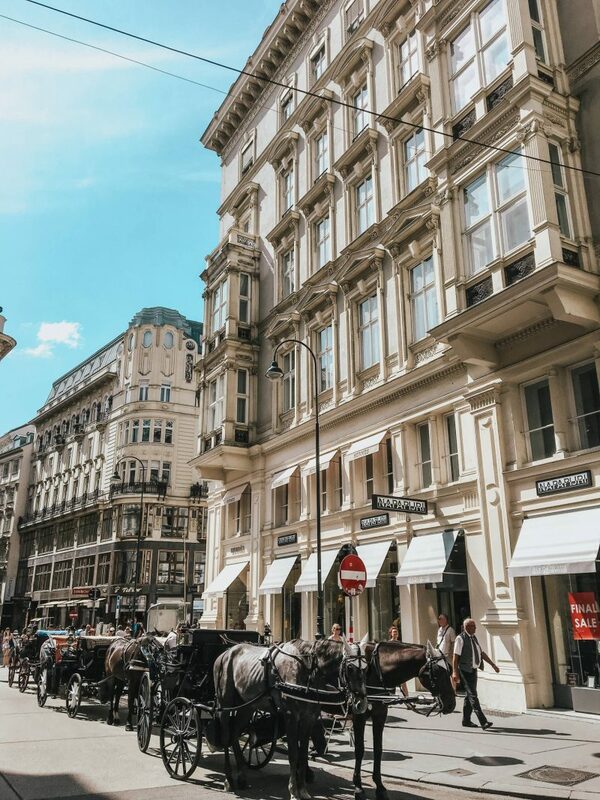 If you’re craving some shopping and a meal to keep you going, head to Der Graben for an afternoon! Tucked behind Der Graben is Peterskirche (St. Peter’s Church), which is also incredibly stunning. 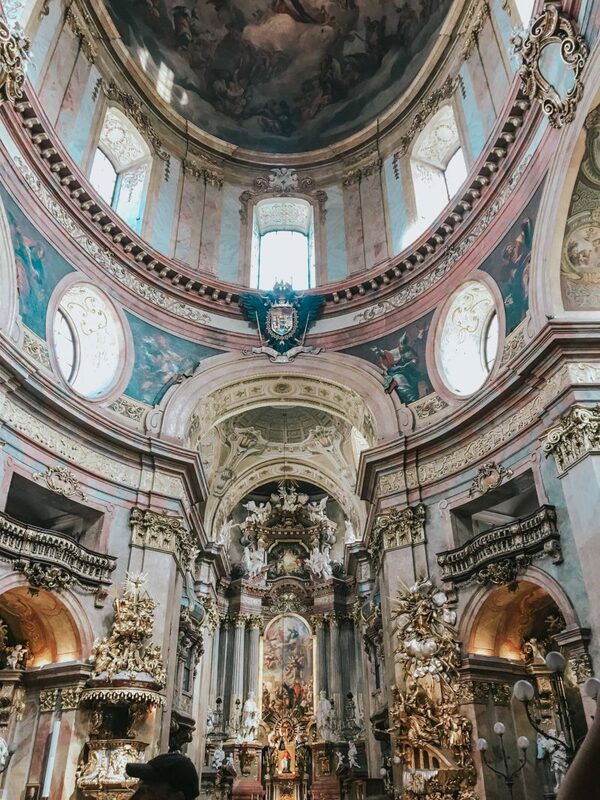 It’s the second oldest church in Vienna and the most lavishly decorated baroque church in the city. It’s definitely worth checking out. 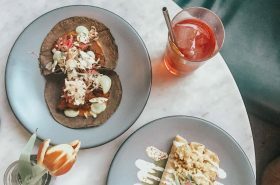 Cafe7stern quickly became our favourite place to brunch- I think we went three times! 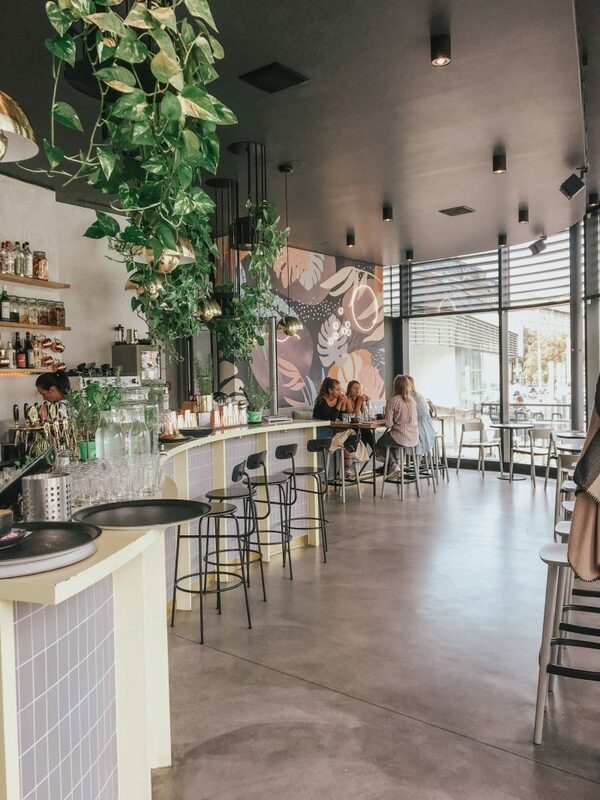 It has delicious, fresh food, a lovely patio and the staff are really friendly! Not all menus have english in Vienna, but our server was so great- she patiently went through every item on the menu for us and never once was annoyed by our lack of German. They also had an amazing selection of sweets! Make sure to get a smoothie if you go..and all of the meals looked absolutely amazing! 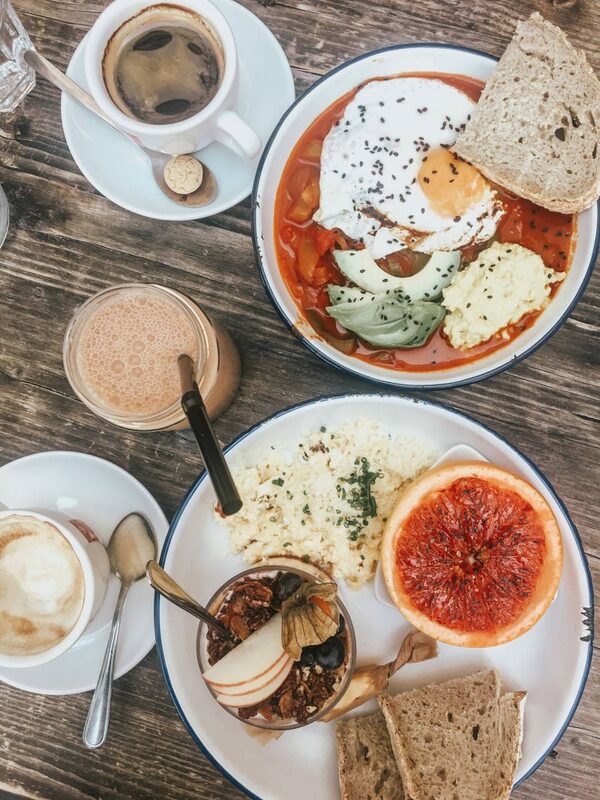 I always got scrambled eggs with bread, a grapefruit and yogurt and granola parfait. I’m usually not a fan of scrambled eggs, but these ones were seasoned to perfection! 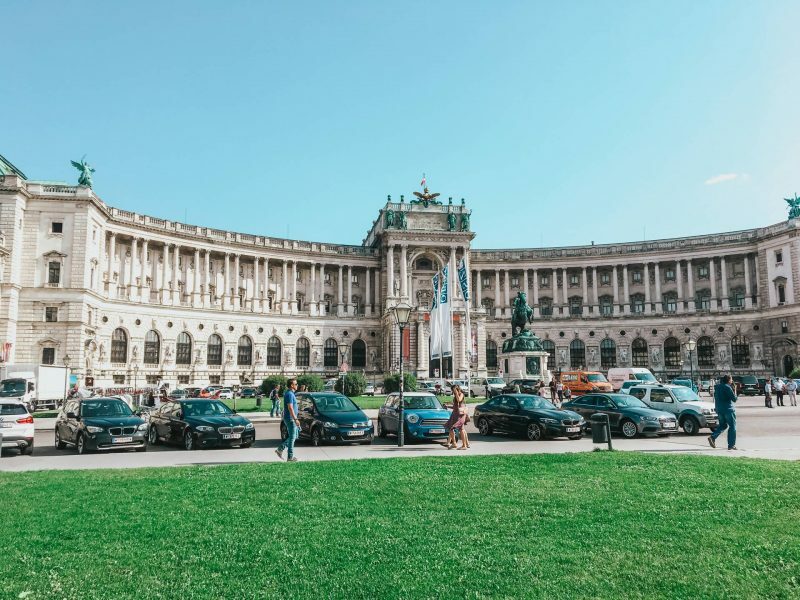 Hofburg Palace is a must when you visit Vienna! 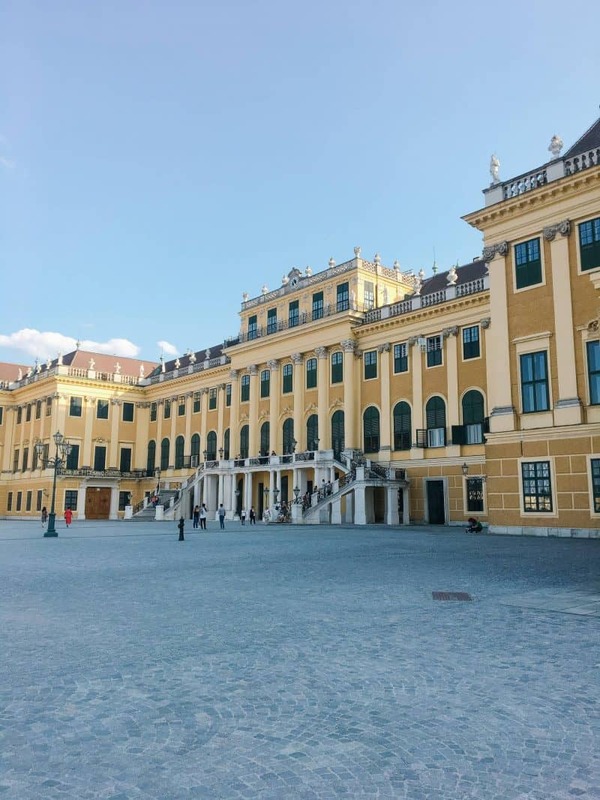 It’s the former imperial palace of the Habsburg empire and is now the residence and workplace of the President of Austria. St. Stephen’s Cathedral is one of the most jaw dropping churches I’ve ever stepped foot in. 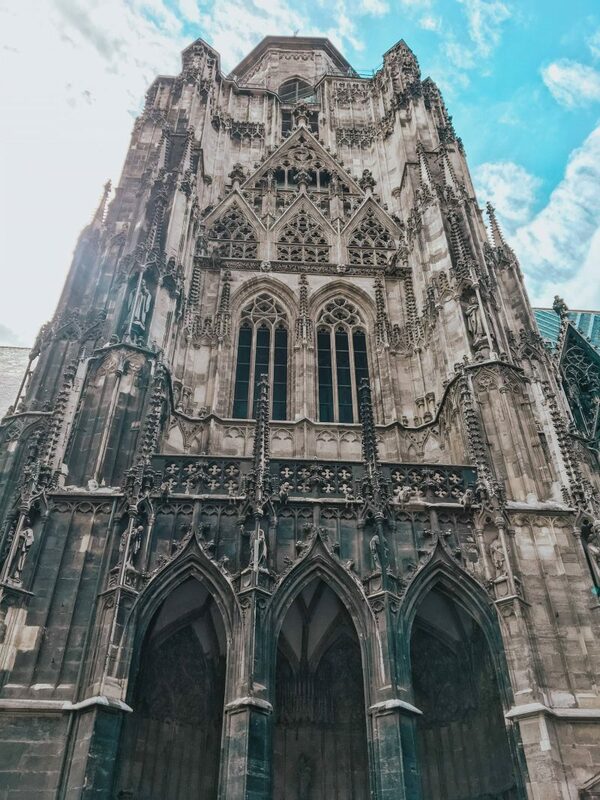 It’s a gothic cathedral and the main Catholic church in Vienna (also one of the city’s biggest tourist attractions!). 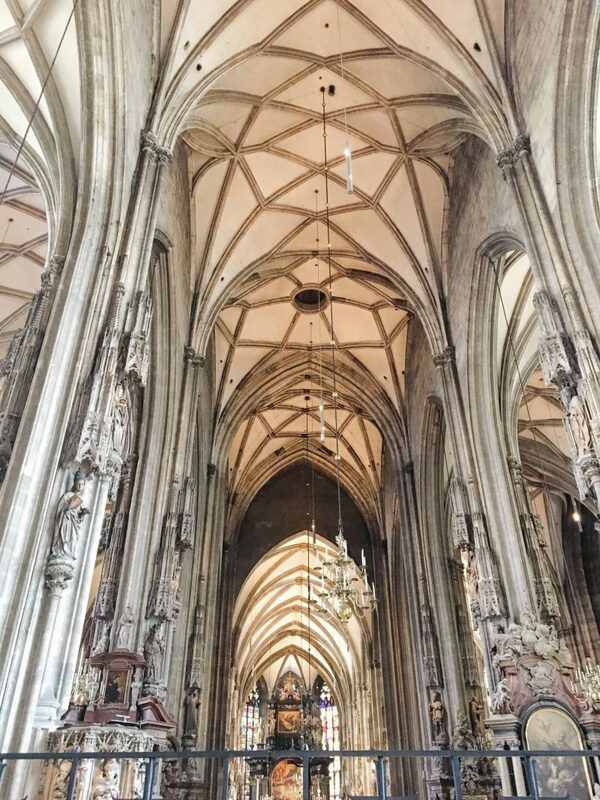 It’s a definite must-visit when you’re in Vienna. Burrgarten is a lovely park area where we hung out and read one afternoon. 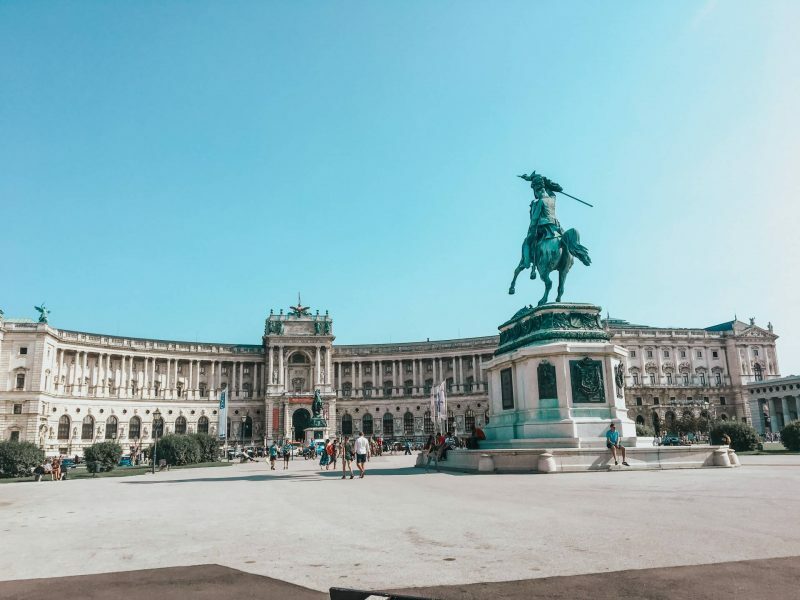 It’s known for its Mozart statue and borders the Hofburg and Albertina palaces. It’s a great place to relax after a day or touristing! While we were there Rathaus (the Australian Parliament and City Hall) was taken over by a film/food festival. This ended up being one of our favourite parts of our trip to Vienna. There were lots of food stands with cuisines from all over the world, and there was even an entire Aperol Spritz stand. 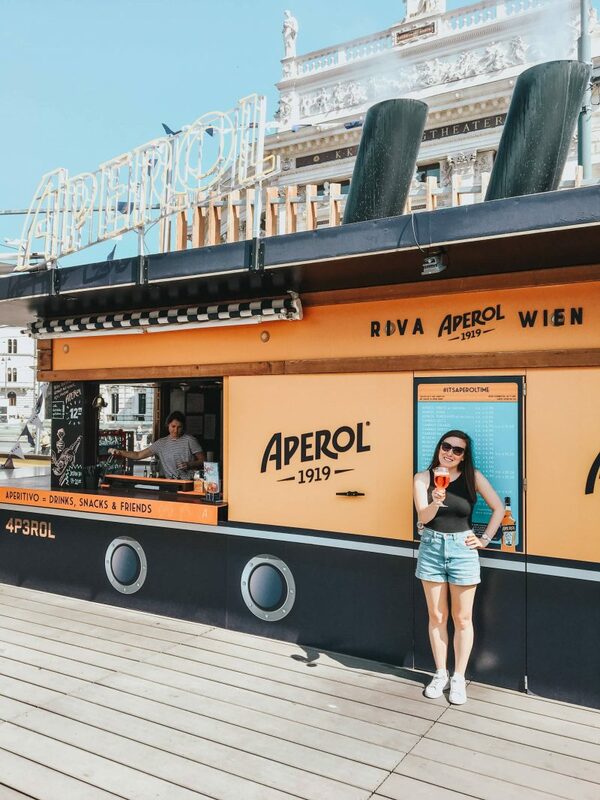 We LIVE for Aperol Spritz, so that was of course our favourite part!!! 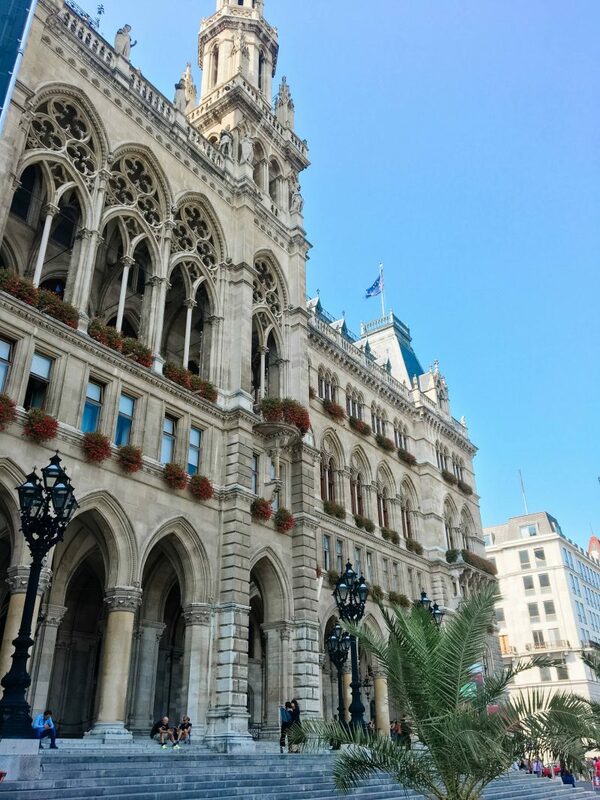 Rathaus itself was covered by a big outdoor screen for the film festival, but you could still see it was such a gorgeous building with lots of history. 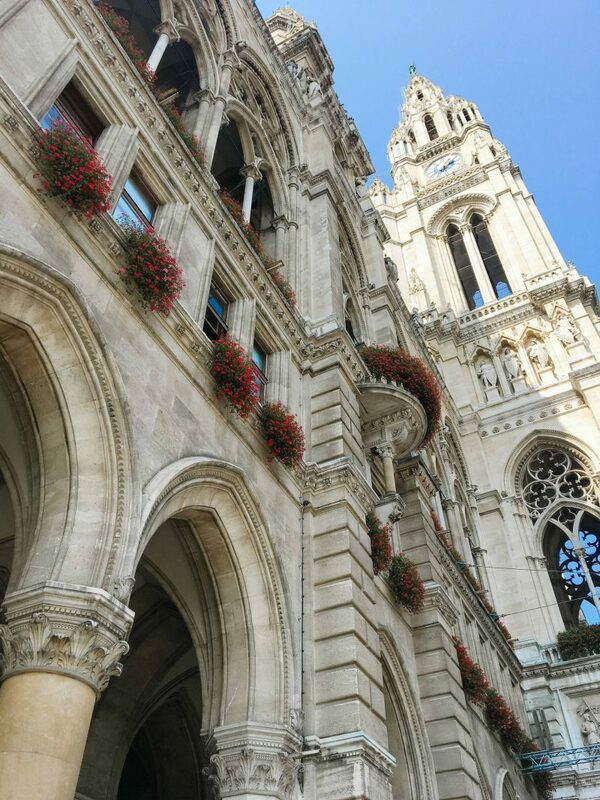 It’s surrounded by Rathauspark, and is a site for many cultural festivities and celebrations! 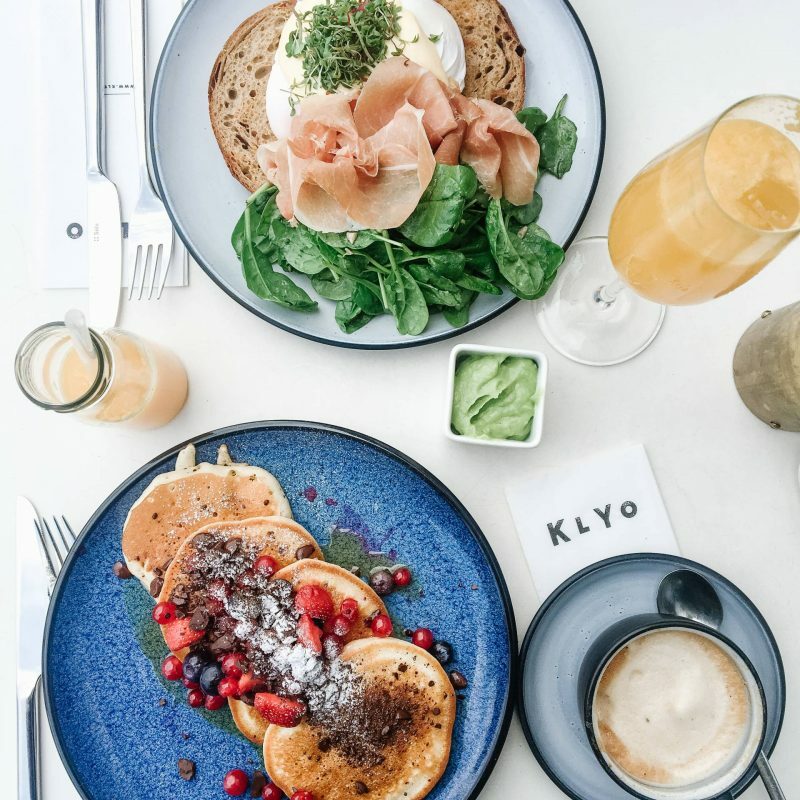 Klyo was a really cool spot. The pancakes were amazing and we sat outside with views of the river. I’d definitely suggest eating here! Museum quarter is a wide-spread area, with a diverse selection of museums among gorgeous courtyards. 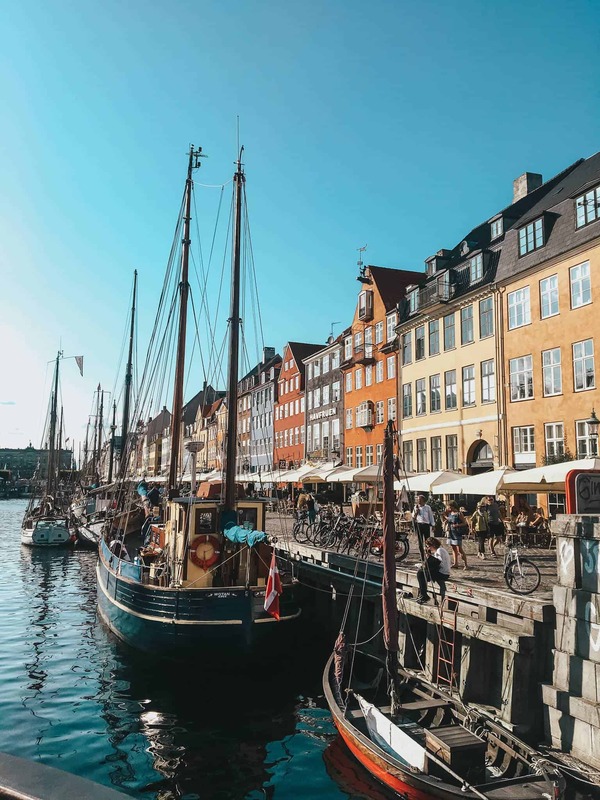 We loved walking around this area, as it’s the city’s largest culture and art complex. 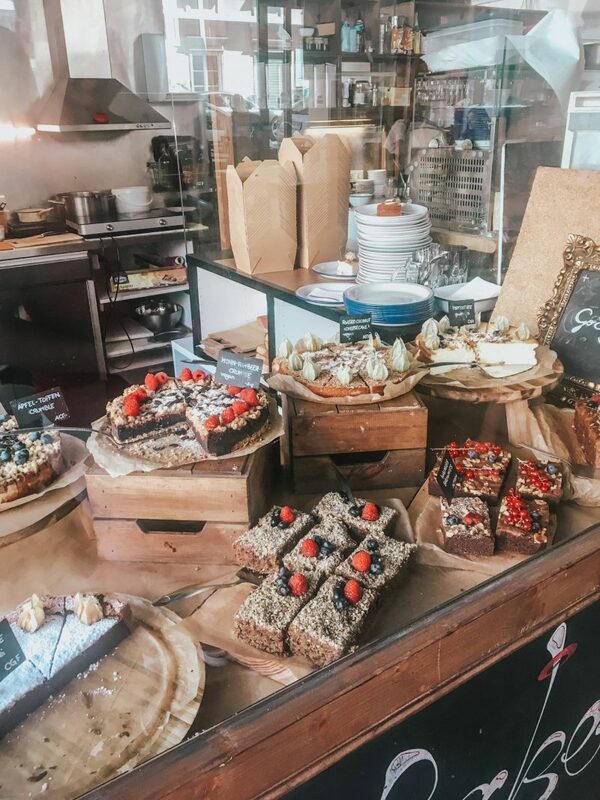 There are also cafes and old buildings to explore! We made it to Karlskirche on our final day in Vienna. We got there too late to go inside, but the exterior is marvellous. 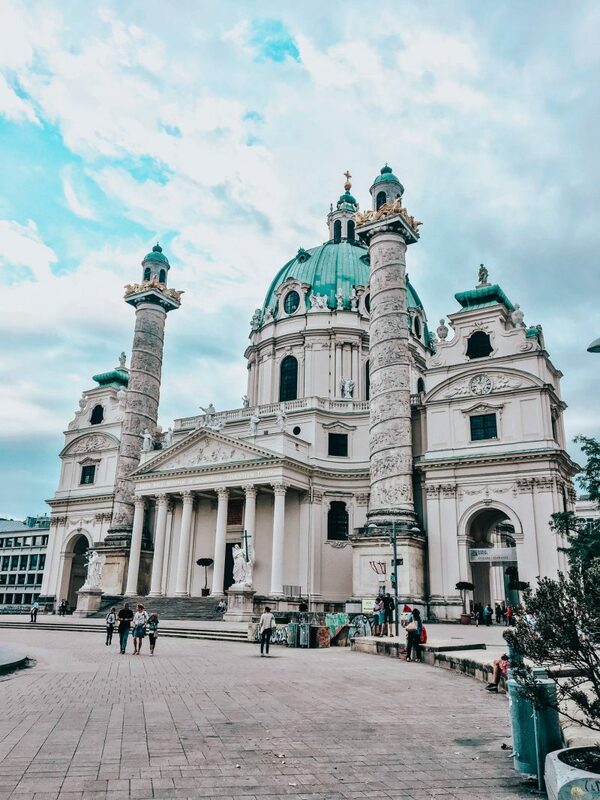 It’s a baroque church located in the Karlsplatz area of Vienna, and has Greek and Roman influence in its design. The interior looks amazing, so I suggest checking the times it’s open to the public so you can go inside! 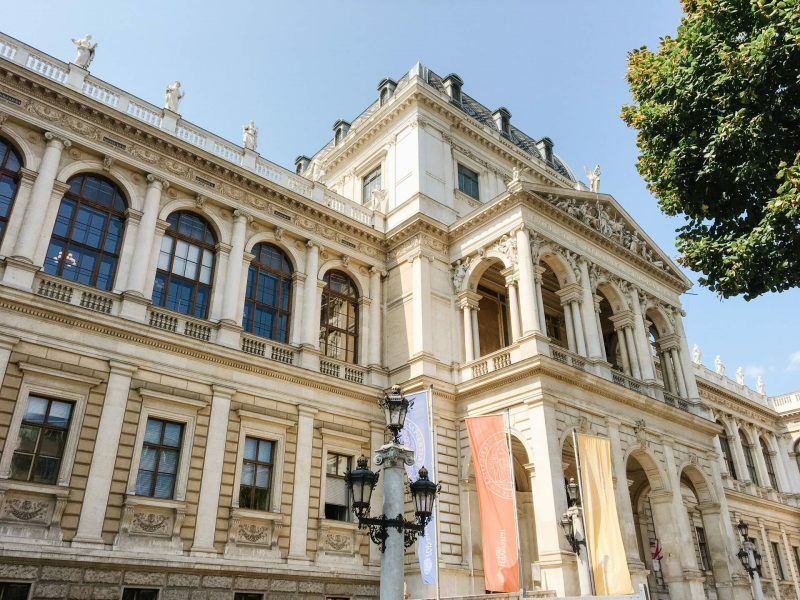 One day we stumbled upon the Vienna University grounds while we were exploring the city and we really loved the campus! 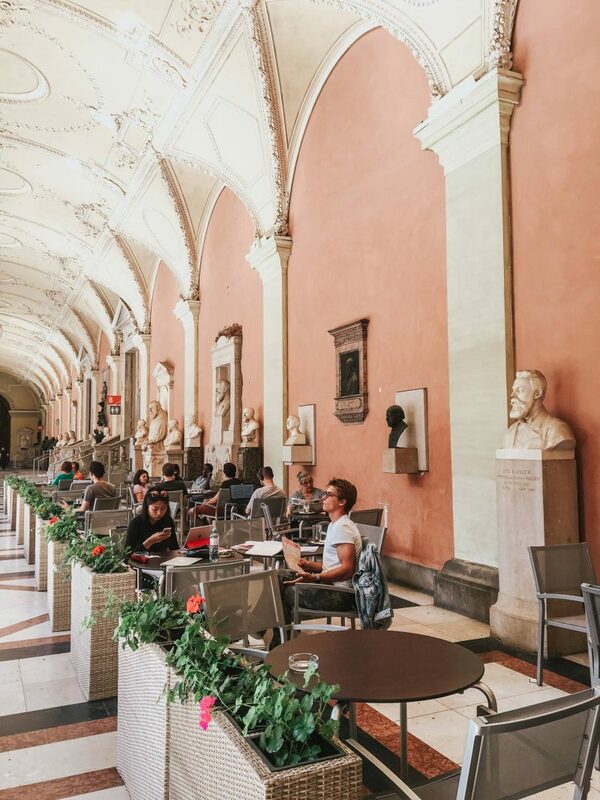 Not only are the buildings beautiful, we also found the cutest outdoor cafe that looked like the perfect spot for students to sit and get work done! We ate at Das Eduard our first day in Vienna and it was great! 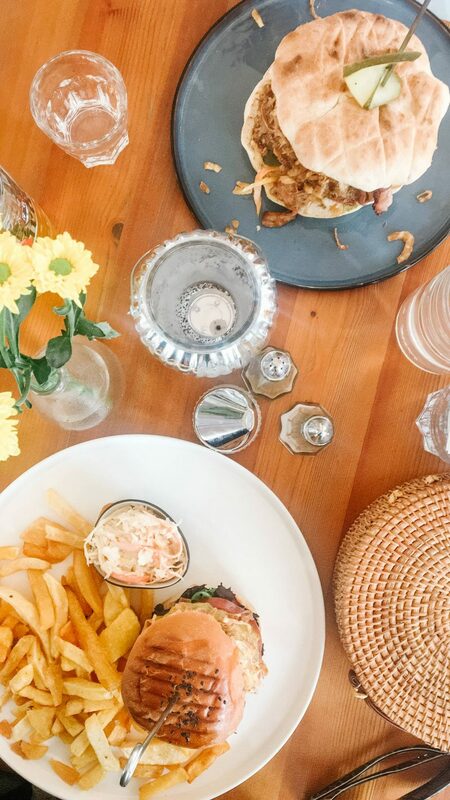 We both got sandwiches, which were super fresh and tasty, and it has a great atmosphere. 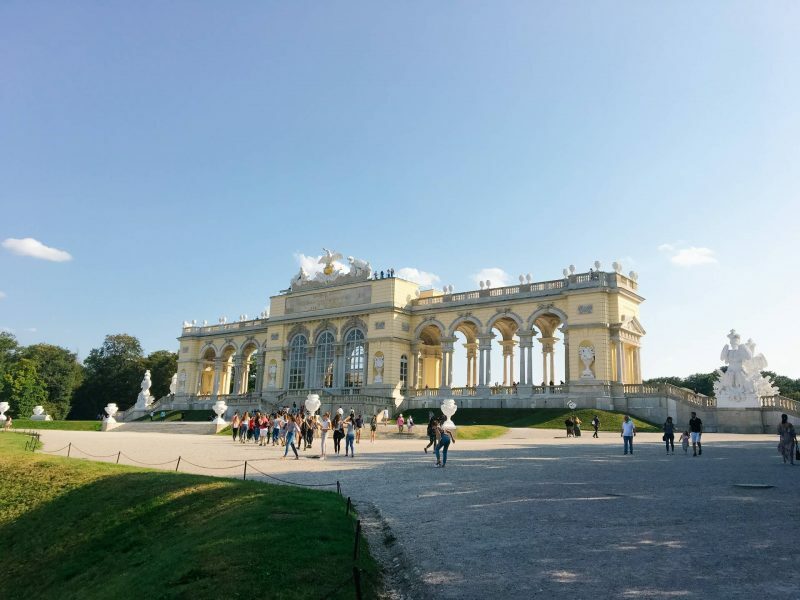 We had such a great time in Vienna and hope you enjoyed this Vienna bucket list! 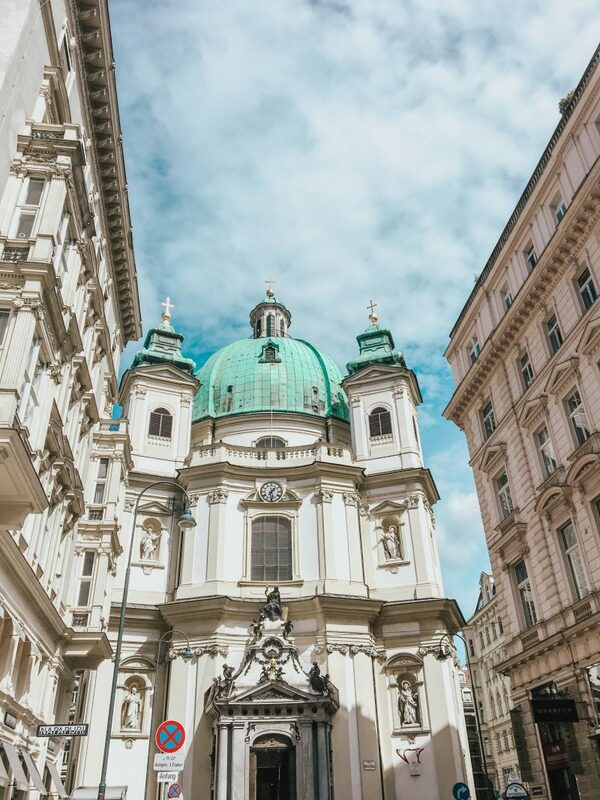 If you go to Vienna I’d love to hear your thoughts, and if you’ve been, is there anything you’d add to the list? If you loved this post, I’d love if you shared it on Pinterest!